I'd Love To Marry You! ← How to Avoid Becoming a “Bridezilla”! Some good information for lowering your stress level! This is the single largest item that affects your wedding reception cost. If it costs $100 per person for food and drink and you cut 10 people you’ll save $1,000. Is it the ceremony itself, or the venue, or the reception? Make a list as large as you’d like and then whittle it down to the top three. If you get those right most everything will flow from there. While an outdoor wedding may seem ideal, watch out for summer heat, winter cold, bugs, travel conditions and blackout dates. This is critically important. Most planners and coordinators recommend book the venue 10-14 months in advance to avoid disappointment. This is especially true during the peak wedding season (May to September in the Portland/Vancouver area). Meet with, or at least talk to, prospective vendors. You can get recommendations from the venues, your planner/coordinator and many of the other vendors you’ll be using. Check ratings from past clients. Just as you need to book your venue at the earliest possible moment, you don’t want to wait to select caterers, DJs/musicians, florists, printers, cake makers, etc. And don’t forget the Officiant! Research from WeddingWire.com, and others suggests that one of the biggest, if not the biggest, regrets mentioned post-wedding day by brides is not having hired a videographer. No matter how great a job the photographer does, nothing will replace a video. I mentioned this in “Book vendors early” above but it bears repeating. 5-star rated officiants get booked early and you won’t want to settle for someone who won’t be caring enough, flexible enough and skilled enough to help you make the ceremony and vows as perfect for you as possible. Putting a wedding together can be a daunting task. But you don’t have to do it all yourself. If your budget is too small to hire a coordinator for the day of your wedding, delegate as many tasks as possible to your bridesmaids so that you have time to concentrate on enjoying your day. These vary from state to state. Many have 3-day waiting periods. Most are valid for 60 days from the date of issue. You’ll need to get the marriage license in the state in which you are going to actually be married. If you are planning a destination wedding, this could impact your costs by requiring an extra trip or arriving early. You’ll need energy that lasts during the day, from early preparation through the actual ceremony itself. You don’t want to end up being so tired from lack of sustenance that you can’t enjoy your day. If your ceremony is more that 6-8 hours after breakfast, eat something else. At least maybe a nutrition or energy bar. The last thing you want to do if faint from low blood sugar! This can be problematical since you’re likely to be both excited that your wedding day has finally arrived and worried about the myriad things that will need to come together to make the day as wonderful as you’ve planned. But don’t drink alcohol to put yourself to sleep. Having a hangover will not enhance your enjoyment of your special day! To avoid feeling pressured or rushed you are going to want to plan to start getting ready as early in the day as possible. If you start late it’s likely that everything else could be impacted and you don’t need that stress! Set up a timeline, working your way back from the ceremony start time, so that you guests and vendors are not inconvenienced. It’s hard to enjoy anything when your feet hurt! If you can have a pair of comfortable shoes dyed to fit your dress, that’s a great alternative as well. There are a great many sources for buying one of these or you can put one together yourself. Check https://www.theknot.com/content/the-brides-emergency-kit for a great list of what needs to be in it. While it is traditional for the bride to be unseen by the groom before the ceremony, the practical aspects of getting the best photos often dictate that you arrange to have the photos taken before the ceremony. Things will get hectic after the ceremony and there is paperwork to be done with your officiant as well. So give this serious consideration. Guests often comment that they couldn’t hear the bride – or the groom, for that matter – as the vows and rings were exchanged. With small audiences in fairly intimate settings, I recommend that you speak loudly. For larger groups and venues, consider asking your DJ or sound person to provide wireless microphones for you, the groom and the officiant (if he/she doesn’t normally bring his or her own). I always remind my brides and grooms when they’ve arrived at the front of the venue to remember to breathe! It is exciting and can be nerve racking, to be in front of a large group and be worried about flubbing your lines. A good officiant will feed you your lines a phrase or two at a time so that that won’t happen. So take your time, breathe and even take deep breaths while the officiant speaks, guests perform readings, etc. Why not be as comfortable as possible as you eat, drink, and dance during the reception? Alternatively, if the shoes you wore for the photos and ceremony are comfortable you can keep them on but my experience is that most brides – and bridesmaids! – want to change into more comfortable shoes. Kind of a silly tip? Not really. There’ll be lots of photography going on, and maybe videotaping as well. This was mentioned more than once as being important in hindsight in more than a few of the lists I consulting in coming up with this list. You don’t want to keep guests who won’t be in these group photos waiting before the ceremony or even the start of the reception. So do the group photos during the early part of the reception before the food is served (or the buffet is opened). Please feel free to call or email me and I’ll be happy to answer what I can and point you to other sources where I can’t. Have a wonderful wedding! As always, comments are welcome. And please feel free to share this post. 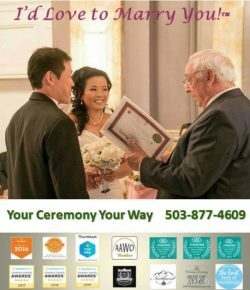 Are you looking for a Wedding Officiant or Wedding Minister in Portland Oregon? I also perform wedding ceremonies in Vancouver! Tell me more about your wedding ceremony plans, what you need, what you want, what you desire. It’s YOUR SPECIAL DAY and I can help you customize the perfect wedding ceremony – one you, your family, and friends will remember forever! Call me at (503) 877-4609 or drop me a line using THIS ONLINE FORM. 2019 Wedding Season Will be Here Before You Know It! Marty Nezich on When to Hire What for Your Wedding? 20+ Special Tips to Make Your Wedding Day Wonderful | Your Officiant Reverend Jon Turino, Minister on Don’t Wait Until the Last Minute to Get the Marriage License! How to Avoid Becoming a “Bridezilla”! 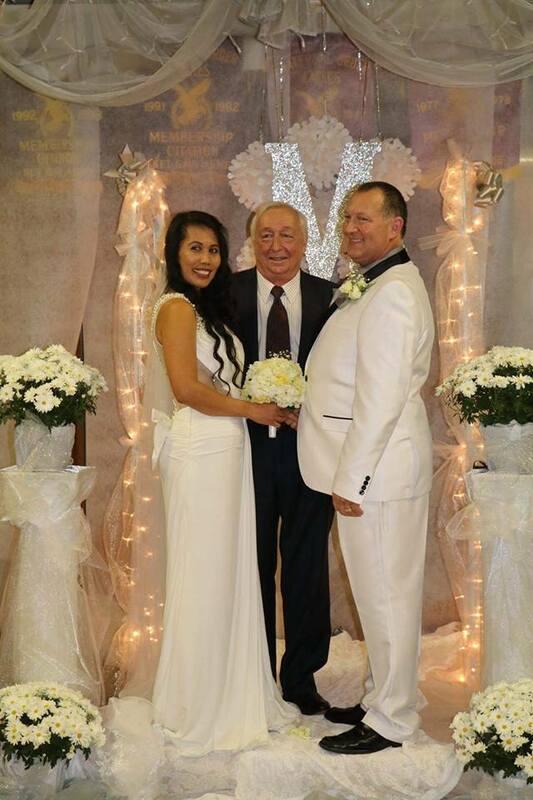 | Your Officiant Reverend Jon Turino, Minister on When Should You Get Married?